Khurja in Uttar Pradesh is famous for ceramic pottery. The pottery, done with relief work, uses earth colours like orange, brown, and terracotta, worked on to a white background. 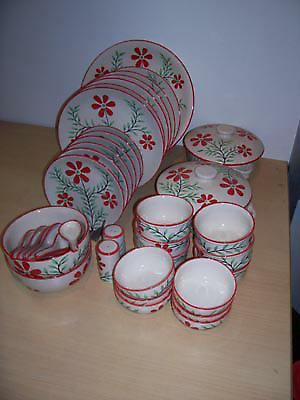 The products made include decorative items and table ware.